Epix is moving forward the Batman prequel series Pennyworth, which will start production soon. Comic Book Resources reports that Paloma Faith has been cast as the main villain of the series. Faith will be portraying Bet Sykes, a malevolent character who is described as “sadistic and sharp tongued.” Alfred will no doubt have his mind and body tested by this woman. Presumably, she will be a worthy villain for the man who will raise the world’s greatest detective. Faith is best known in the United States from her role in The Imaginarium of Doctor Parnassus. However, in the UK she is better known as a musician with a number one album: The Architect. Pennyworth will tell the story of Alfred’s new life. He will leave the SAS (Special Air Service) and enter the world of private security. His first client will be Thomas Wayne, not yet the father of Bruce. The 10 episode season will tell Alfred’s story and follow his battles against Bet Sykes in 1960’s London. Jack Bannon was previously announced as Alfred, and Ben Aldridge is co-starring as Thomas Wayne. Earlier reports also described Bet Sykes as a member of the Raven Society. Batman has had his own battles against a bird themed secret organization. The Raven Society could be England’s version of the Court of Owls. 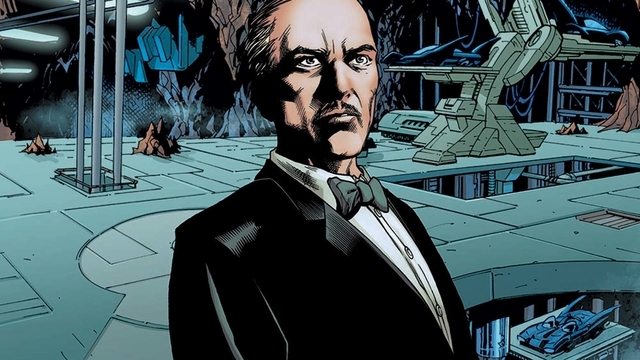 In the comics, Alfred has an estranged daughter, Julia, Pennyworth. This untold origin series could potentially introduce Julia’s mother and also explain why Alfred and Julia grew apart. What do you think of the latest villain to join the Batman mythology? How do you think Alfred and Thomas will begin their bond? Let us know in the comment section below!